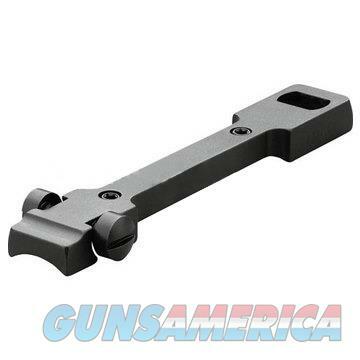 Description: This Leupold STD 1-Piece Base (55724) is rock-solid, windage adjustable and also fits in most rifles. The forward part of the base accepts a dovetail ring, locking it solidly into position. The rear ring is secured by Windage adjustment screws. This base is designed to receive standard rings.